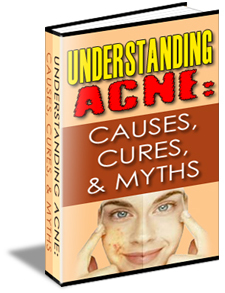 There is no known cure for acne rosacea. At least, none so far; however, there is such a thing as acne rosacea skin care and therapy that can control–and even reverse–its symptoms. Following are some of most common acne rosacea treatment products and methods available today. Common examples of rosacea medication include topical and oral antibiotics for mild to severe cases. Topical antibiotics (e.g., metronidazole) are prescribed for redness and inflammation, while oral antibiotics (e.g., tetracycline, minocycline) help reduce the growth and heal pustules and papules. Stronger topical antibiotic creams that can be prescribed for more severe acne include erythromycin and clindamycin. Another common rosacea medication is isotretinoin, which is prescribed for persistent pustules and papules, as well as severe cystic acne. But it has many side effects and can only be used in severe cases, and only in low dosages. Another retinoid, tazarotene, is sometimes prescribed as a topical alternative to oral isotretinoin. A synthetic retinoid, it keeps pores clear. But pregnant women should never use it since tazarotene has produced birth defects in lab animals. Skin irritation is also another side effect. Flushing can be lessened with clonidine, although side effects such as drowsiness and low blood pressure may result. An alternative to clonidine, monoxidine, has less side effects but is also less effective for most people. Beta-blockers (e.g., propanolol), on the other hand, work better on flushing caused by anxiety, excitement, or alcoholic drinks (e.g., red wine). But if flushing is caused by food with high histamine content, then antihistamines should be taken instead. A less invasive treatment for the red lines on the face of an acne rosacea sufferer is makeup to cover up the face. However, some people are willing to undergo laser therapy, treatment with a small electric needle, or even surgery to seal dilated blood vessels. The least invasive, yet highly effective, acne rosacea treatment is topical niacinamide. Its effectiveness was proven by a State University of New York College of Medicine study, where topical niacinamide was proven to minimize inflammation and sebum production more effectively than antibiotics–without the side effects. 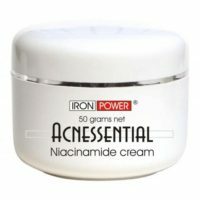 Scientific research has led to the development of products, such as ACNESSENTIAL (a 4% Niacinamide cream), which are safe even with prolonged use. Moreover, while proven to keep acne under control, they are gentle enough even for sensitive skin.